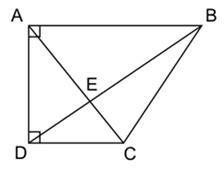 In the figure above, what is the area of triangle BCD given that the area of triangle ADE is 16 & the area of triangle CDE is 12? Area of triangle ACD = Area of triangle BCD. This is because the base, CD, for both the triangles is the same. 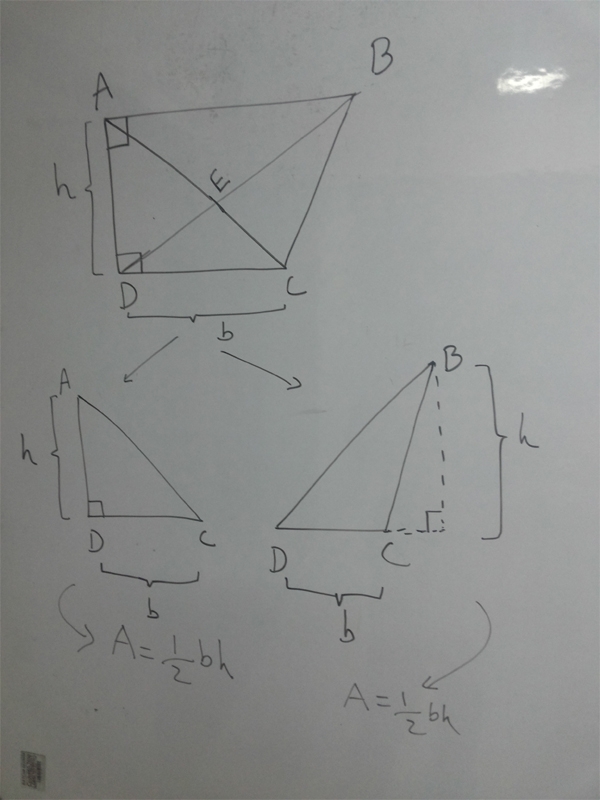 Moreover the perpendicular is also same for both the triangles and it is equal to AD. Therefore area of BCD = 28. Please dear sir i want to appear for fulbright scholarship. when i appeared in GRE and my score was 47…….! please suggest me…. 47 on the GRE? GRE is scored on the range of 260-340. Let me know! Yes – ask what help you need! Hello – Manhattan GRE guides are the best resource for preparation. Which course are you talking about Salman? I live in karachi, and i want to join center for GRE, kindly guide me or suggest me any center. Hi Bilal, Unfortunately we are only based in Lahore – moreover we are not aware of any good GRE prep places in Karachi! Hi, I’m very interested in taking a GMAT course. I am currently living in Lahore, and would like to take the next course available. Where do I register for it and what is the contact number\e-mail? Regards. You just need to come on the first day of the classes and register after that. Contact number is 0331-4513196. Dear Omar, I am a mid career professional. I qualified the initial round of Full Bright Humphery though I don’t have good grades in my academic life as I was schooled in a ‘tree school’ in a tribal area and in Pashto medium. But I couldn’t qualify the interview round. Do you give any preparation for interviews in Rawalpindi/Islamabad? i am also applying for Fb and i am almost done with the application form but i haven’t appeard in GRE test because Islamabad is too far and the other case is the shortage o time… your suggestion plz..
Hello Ali, you can apply in 2018.
sir i have an imp question………..is GAT more preferable than GRA for pakistani students as its fee structure more economical……. Hi Ali, GAT is not accepted by many universities in Pakistan and no university abroad accepts GAT. GRE is an international test and is accepted by all. i want to ask you about the institutes for G R E preparation . please guide me for my preparations. i shall be thankful to you . hello sie how are you , I’m very interested in taking a GMAT course. I am currently living in islambad, and would like to take the next course available. Where do I register for it and what is the contact number??? Hi Ahsam, The next course starts 24th October. You can register for the course anytime before the session starts – you can even register online if you want. My contact number is 03314513196. Is it better to take GATE instead of GRE for Engineers? Dear can you suggest me Best books for preparation of GRE. Please suggest Best books. I will be thankful to you. A very basic question. Does CGPA matter at any stage while applying for Fullbright? What are the other requirements beside GRE score? I am a recent graduate with engineering background from NUST I wanted to apply for MBA through FB scholarship program is it possible for students with engineering background to make through for MBA scholarship if YES what are the possible chances. secondly I desperately need coaching to get through with GRE but my job is vehari based so is it possible for me to take the mock test at your preparation center. and last I have a number of confusions about application procedure is it possible that I you take out some time if I visit your coaching center during office hours on some Saturday . when will be the moch test? how much is the registration fee of mock and GRE? Ubaid it is 25,000 for 2 months. Hi Omar – what would be your definition of success in GRE? Yes you can apply Faizan. Please if my CGPA is 2.80 with ielts 6.5 and GRE above 300, can i get schlorship abroad . I am student of Industrial Engineering Final year. Hello Talha, An appreciable step i must say! I am an undergrad doing BS in Applied Bio-sciences from NUST, my sophomore year is just about to finish. I am too much concerned about my future studies. Could you guide me (better if in mail) as to what steps should be taken from this stage for getting admission in prestigious institutes in USA? Hello Taskeen, Thanks 🙂 Have you taken the GRE exam yet? If not then it is the first step to a graduate program in USA 🙂 I would advise you to spend your summers preparing for it and make sure you do really well because it is an important exam! Hello – Of course you can , just make a proper schedule and follow it for your prep. Hello Sir, I gave my GRE a few days ago and got 151 in Quant and 152 in Verbal. I was hoping for a figure close to 160 in Quant and about 155 minimum in Verbal. I have a BSc in Chemical Engineering and want MS in Petroleum Engineering. The universities I was to apply have emailed me that they would generally suggest 155 or more in Quant so I’ll be retaking my GRE. How much time would you suggest I take for GRE this time? I prepped for 3 months and used The Manhattan Review, Princeton Review and ETS official guide with all exercises and 3 mock tests (PowerPrep and Manhattan free test). The test day was terrible as anxiety got to mr and I hadn’t slept at all which I feel contributed to my low score as well. Hello Fahad, Just spend another 2 to 3 weeks and focus on full-length practice tests and timed quizzes 🙂 InshAllah you will be all set! Hello Naveed, Unfortunately we do not deal with Germany! I want to take classes for GRE. Can you please tell me where to register and when can I start. I am not looking for a crash course. ASLAM-O-ALAIKUM how are you sir, im doing my beachlor in civil engineering fron muet. And i want to get fullbright scholarship for my master’s programme and im belonging to poor family,so can u suggest me to clear GRE in first attempt.and it is necessary to join any academy for preperation of GRE. sir! would you please tell difference between GMAT & GRE? and what are the perequisites to get recruited in top universities like harvard, mit for MS. in engineering? A top GRE/GMAT score, good GPA, Work experience, LOR’s are some of the requirement for programs such as MIT. I have a background in English and find no problem in the verbal section, but I am poor in maths. I have covered some topics of maths with much difficulty but have come to the conclusion that I can get good score in maths if I practice continuously in that segment of GRE. 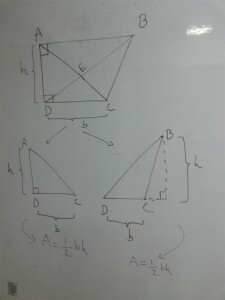 Nevertheless, I cannot practice maths questions individually as I have to stop wherever I do not understand some point. The solution to this problem lies in combined study and practice. You teach on Saturday, Sunday and Monday, which means the remaining 4 days are for practice and assignment. My question is whether you allow students to form groups and come to your place daily for combined study and practice? Hey Ashfaq, Of course I do – in fact I form groups of 4-5 people who can come everyday to practice at our place and we have others to help them over there as well 🙂 so don’t worry about that. One more query. Is GRE subject test is different from GRE general? If so, what you prepare the students for is GRE subject or GRE general test? Want to know about GRE Subject plz. WAS – yes what do you want to know! I live in Karachi. Do you guys have any branch in Karachi? If not, then will you recommend me how to do prep for GRE? Hi Asghar – actually no idea about Multan. Sir plz btain Gre test just aiik specific subject k liya hota ha??? How to prepare GRE to get fulbright scholarship?? How to get best GRE score??? Sir, I’ve recently done my Engineering and plan on taking GMAT. Although I eventually want to do MBA but I don’t intend to pursue it at least for the next four years until I have sufficient job experience. I’ve already registered for your July session. Should I take GMAT now or should it be later? Hello – well GMAT is valid for 5 years and it is usually best to do it when you have time – doing it with a job becomes really hard! what is most effective way to do well on verbal secion of GRE? can u tell me how much on an average score do u need to pusue mtech in a reputed university’? so how can one get scholarship, i mean wot is the criteria or average score? I was completely unaware of GRE, but few days ago I come to know about this GRE and FullBright sort of things,, can you please suggest me where do we take classes for this in Rawalpindi? I’m so excited to know how can I prep. and how can I give its test? I am facing some difficulties in catching up GRE verbal part. I have weak vocabulary but i am below average. these days i m using a software GREbible and it is helpful however your further expert opinion would definitely help a lot. Hello Sir, For full bright one need to have good gre score, I need to know if anything else is needed for getting admission in US. Like do we also need to have Ielts or TOEFL. I an having difficulties in online registration for GRE. Please led me know if someone has already done. I have been trying many time through ETS official site but after seat selection there is no way to go forward. I can’t come to Islamabad personally . when GMAT session will start now? i am interested to attend for PhD admission. I am doing BBA from C.U.S.T Islamabad and it will be completed in July 2017 IN.SHA.ALLAH. So can you suggest me when should i take admission for the preparation of GRE and is there any branch of your institution in Islamabad ? if not, please recommend me any best institution regarding the prep ration of GRE. Hello Adil, You can start with our classes in July end which is when we start in Islamabad inshAllah! sir, i need some help regarding books for better verbal preparation…………..
AOA I need to get 600 score in GMAT for my admission in EMBA, do you conduct classes in ISB / RWP , if not any guidance where to go from prep. Hello – Nope. Direct scholarships are available though. Sir, I have don BBA, so should I prepare for GRE or GMAT? W.S. Zafar – You can apply in 2019 May – 3-4 months is ample time to prepare for GRE! i want to prepare gre i am doing graduation in electrical engineering from ajk kindly help me out. HI Talha, I have done MBA from Quaid E Azam University, and have work experience o f 5 years in good multinationals , Currently serving in OGDCL as Assistant Director, what makes me confuse is to select field of study for my MS as i am not interested in Managment, HR and Finance and i am well aware Fulbright scholarship rarely given to Business fields, I want to select program for my MS which can help me to get preference in PHD scholarship in full bright scholarship program can you please suggest in this regard. Hello Aasim, It all depends on your work experience. If you have extensive work experience in say HR then you will not be able to switch to any other field. HR will be your prospective field in that case – in case you have diverse experience then you might be able to build a case for any one of those areas. Normally FB gives funding in the area where students generally have prior experience and education in. I am completing diploma on a polytechnic institute. Will I be able to give GRE exam ? Sir I really want to start my preparation from karachi, how it is possible please suggest me as I am willing to apply for foreign Phd scholarships. Hello Sir, i wanted to get admission at LUMS for MBA but m not prepare for test. i mean my quantitative level is almost zero i want to prepare my self for the test?? Hello – you can definitely prepare for the test on your own – just follow the Manhattan guides for the prep! I am M0echanical Engineering student and I am studying 3rd year . When should I give GRE ? I am preparing for exam from 1 month . Can I give it in the month of June? Hello – Yes give it max by July/August or before your semester starts. i am of 36 age and i have done m.tech. and i have nearly 12 year experience. As i have not done any research work.So opting for PHD is bit difficult. Yes definitely you can do a 2nd Masters. You just need to make sure that you have valid reasons in your application to back it up! Thanks for your reply.. Valid reason is to pursue Phd. but due to lack of resarch exp. would do MS and then go for PHD. (Doctor degree). Or in while in between doing MS change it to PHD.Could you share your idiea on my mail id vikas34400@gmail.com. It will help me alot. Yeah an MS as a stop gap is also a great option btw! Thanks Sir for giving your valuable time.YOu are really helpfull. Where are you located in Islamabad? I want to take a chance with this GRE thing. Our office is located in College of EME, NUST. You can set up a time if you want by calling at 0331-4513196. I am Usman Rafique, student of University of Sargodha (UOS). I did my Graduation degree of B.Sc (Hons) Agriculture from UOS in 2016 with CGPA of 3.11/4.00. Now i am doing M.Sc (Hons.) Agriculture, my degree will be complete in June of 2019. Should i apply for 2019 intake of F.B scholarship even i dont know about GRE and want to join online upcoming session here. I want to apply for Ph. D and little bit worried about my Graduation CGPA and there is no publication until to now. My M.Sc CGPA is good and expected to 3.9. i have one year experience of Social NGOs (GODH) and now a days i am doing work as a researcher with international research project of University of Canberra, Australia. W/S Usman, Given that there is no research and no accolades I would say apply next year or later. PhD is competitive and to get in you must have a good research profile. Generally PhD students have 2-3 years of research experience with 1-2 publications. Next GRE classes start date after march 2019 kindly.